Frank started lessons here in January of 98. He has made great progress as a bassist in a very short time. Within 6 months of starting, he was in a workshop playing the blues (a favorite genre given his Chicago roots). I really can't say enough good things about the guy. Frank is THE example of how well a busy adult can develop. Check out his chops ! Patrick & Nick are two cool brothers. Patrick has excelled at an amazing pace on bass. 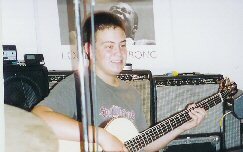 Nick, an RMS veteran at the age of 12, has worked very hard at learning the basics of reading music and has now added singing and songwriting to his arsenal of guitar talent. Here's a great "old" Nick original and his latest effort. Tracy has made great progress since her start as a beginner. She enjoys playing and singing and is eager to move into the electric guitar world! Give a listen to something she recorded. Emily. Guitarist, Singer, Actress, Dancer ! Check out her soulful groove. Speaking of Josh . . . Already a fine electric guitarist with Midnight Passenger, he is working hard on his playing and writing in his unique acoustic classical style for solo guitar. Here is one of his "nylon" originals.
. . . speaking of Jesse, he too has an acoustic side. 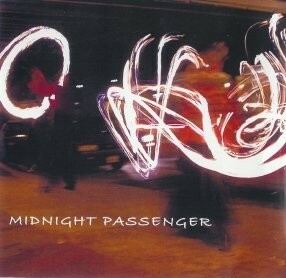 His songwriting is really starting to come into it's own both with and w/o Midnight Passenger In Secret . I dig his vocals. Aaron is one of the vets at RMS. He reads well, sings great, writes great songs, and enjoys a wide variety of styles. He leads his own band with fellow bass student Steven, called "Hazumbra". Here's an original we recorded. Charlotte is a recording workshop student who sings great. Here's a demo of a tune from her recording session. She is now working away at her original compositions as well ! Dilip, Lorraine, & Rich have enjoyed working together in ensemble and recording workshops. Here they are rockin' on a Lorraine original. . .
Marques is on the fast track! Playing electric, acoustic, and singing in a workshop after 6 months of lessons. Nick and Dave are another couple of "vets" here. Great guys and wonderful players. Check out this jam. Sujata"I think it's good that we learn to read music," but Sujata also works on songs by Radiohead, Suede, and she plays the blues! John holds the record: the longest attending student(12 years and still enjoying our lessons). An attorney who is a co-founder of the Mexican folk band "Los Fugitivos de la Stress", which has performed all over the bay area. Here is "Juan" singing and playing with his amigos.